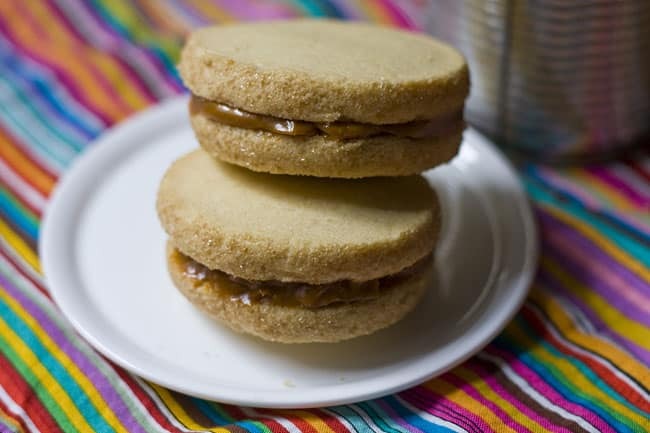 On the Kenmore Genius Blog, I confessed my dirty little secret on how to make alfajores with all of the flavor and hardly any of the work. If you’re a disaster in the kitchen, are pressed for time with a busy schedule or just having a lazy moment, this recipe is for you! It’s so easy, you’ll wonder why you never thought of it yourself. I can’t take ALL the credit though—I owe big thanks to my friend Marta from My Big Fat Cuban Family for her genius discovery on how to make dulce de leche in a slow cooker. With this handy little trick, cheating in the kitchen has never felt so good. Use your slow-cooker or Crock-Pot to turn a can of sweetened condensed milk into dulce de leche and use store-bought shortbread cookies to create "cheater's alfajores" for a delightful dessert. You'll need a slow-cooker or Crock-Pot for this recipe. Remove the label from the can of sweetened condensed milk and discard. Place the can in the crock of the slow cooker. Fill the crock with water until the can is completely submerged. Set your slow cooker on high for 6 hours. At the end of 6 hours, turn the slow cooker off. If you’re in a hurry, you can immediately remove the can from the crock using tongs and submerge it in a bowl of room temperature water. When the can is cool to the touch, you can open it with a can opener. Once you open the can, you’ll see the sweetened condensed milk has turned into dulce de leche. 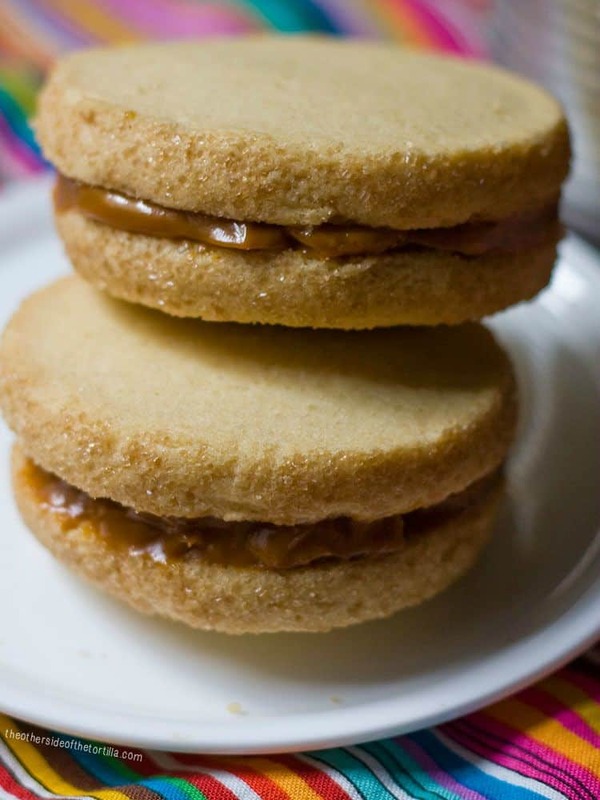 Place a generous spoonful of dulce de leche in the middle of one cookie and press another cookie on top. Make sure not to overfill them or the dulce de leche will ooze out the sides and make a mess. Ideally, the dulce de leche should just peek out. If you like, roll the edges of the cookie through finely shredded coconut which will stick to the dulce de leche. Store any leftover dulce de leche in an airtight container in the refrigerator for up to six weeks. Share this post with your amig@s, but don’t tell your abuela! mmm.. que rico !!! it looks delicious ! !thanks for sharing!! These look wonderful…. I just stumbled…. now I’m heading over to Kenmore. Stumbled, they look great ..heading over to kenmore! i really need to work with other desserts with other than flan and Cuban stuff I know so well! These look like a great party treat! Bren, I’d love to trade recipes sometime so you can teach me more about Cuban desserts! Why did I open this this morning! Now I have cravings 🙂 These look so delish.